Former Chicago Bears head coach Marc Trestman may have worn out his welcome in Chicago, but in NFL circles he's still a highly sought-after coach, and on Tuesday he was named the new offensive coordinator of the Baltimore Ravens. 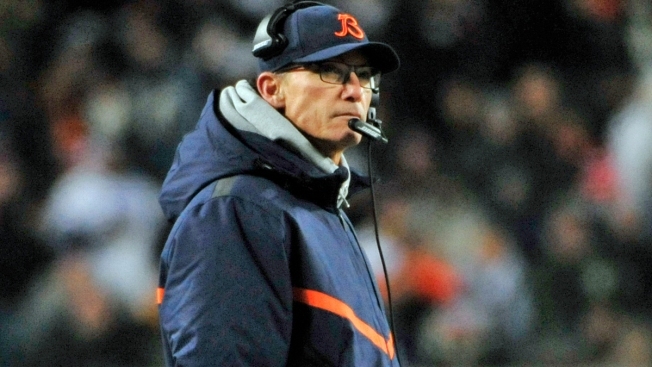 The Ravens have hired former Chicago Bears Head Coach Marc Trestman as the team’s offensive coordinator. Trestman, who will replace Gary Kubiak in the position after Kubiak became the new head coach of the Denver Broncos, also interviewed with the Cleveland Browns, Tennesee Titans, and Jacksonville Jaguars for their offensive coordinator positions. The offensively-minded coach has had a great deal of success in the NFL in working with quarterbacks like Rich Gannon in Oakland, but his stint in Chicago ended in failure as Jay Cutler and the Bears' offense failed to produce the way they were supposed to. Trestman's hire in Baltimore completes an interesting circle of hires in the NFL, as he replaces Kubiak, who replaced John Fox in Denver, who replaced Trestman in Chicago.